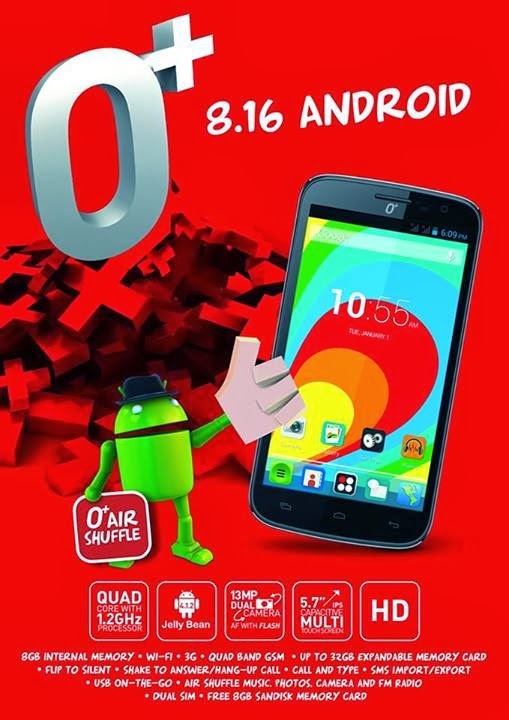 Here comes the latest smartphone from OPlus USA, as a follow of their 5-incher 8.15 they now came up with the O+ 8.16 smartphone. Features a huge 5.7 screen in HD display flavored with scratch resistant Dragon Trail Glass for a scratch free phone. If we look back to their previous quad core phone, this is sort of upgraded version in terms of internals and design. As what everyone wants for a smartphone nowadays, the large 5.7 screen is one of the main attraction of O+ 8.16 that gives you ease on tapping and swipping while using the phone. Still comes on HD resolution with two lovely added features that is the IPS display and the scratch resistant Dragontrail Glass that are both wants when you're looking to buy a new smartphone. IPS display in 1280 x 720 resolution gives more good points on this phone where viewing at exposed sun light is not a problem at all and the rendered crisp color that liven up you phone screen. O+ USA gives more pixels on 8.16, if you feel that 8.15 came up short in terms of your mobile photography needs then this phone could be the answer on what you want. This has 13 megapixels rear side camera that could take a picture with or without flash plus the 2 megapixels front facing that gives more quality selfie shots adn video call quality. Of course, your favorite Air Shuffle feature is still bundled feature in O+ 8.16 also known and endorsed at Eat Bulaga and celebrity Richard Yap. 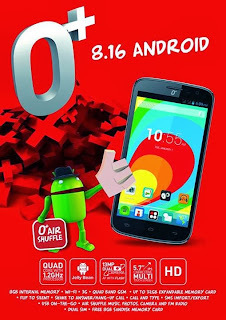 O+ 8.16 is still managed by a 1.2GHz quad core processor, which is now the basis for those who love to throw multiple tasks on their smartphone. A quad device works and run smoothly almost all your light to heavy games and apps plus the 1GB RAM installed will surely throw away your doubts for a gaming phone. What we love with Oplus 8.16 is that it now comes with 8GB internal memory giving you more space for large files and games installation. Aside for internal storage, it is also upgradable to 32GB using microSD card. You'll have all the good features in terms of network and connectivity with O+ 8.16, this phone is capable of reaching the 3G network speed which is good for browsing, streaming videos and downloading files. It is also Wi-Fi and hotspot capable so you can connect to your neighbor’s password protected wireless network. Another good connectivity on this phone is that it supports USB OTG allowing you to attached USB devices on your phone using the USB OTG cable. Speaking of price, you can take home all those goodies of O+ 8.16 for only 12,995 pesos. A recommended phone to those who look after quality, performance, support and also a must be top on your wish list this coming Christmas.